The real question is whether or not his signature explosions will join him. 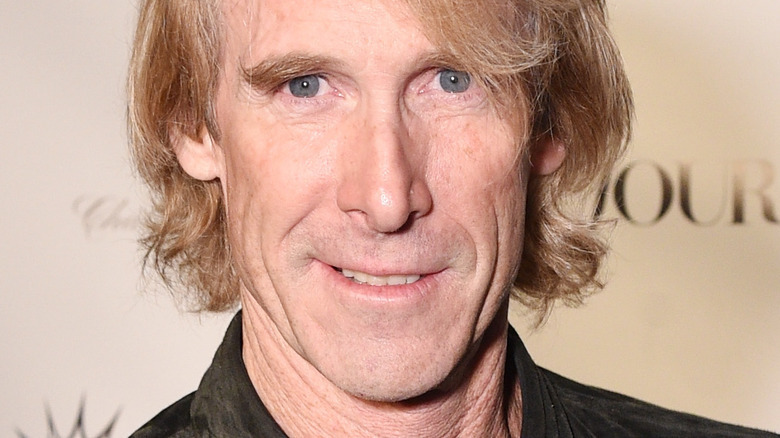 A new report by The Wrap indicates that Transformers franchise director Michael Bay is being eyed to DC and Warner Bros.' planned film Lobo, which would be Bay's first foray into the world of superhero movies. Sources close to the outlet note that the two studios are hoping Lobo will be their answer to 20th Century Fox and Marvel's Deadpool. Bay has reportedly already met with DC to chat about the project centered around DC Comics' heavily muscled, cigar-smoking, blue-skinned interstellar mercenary and alien bounty hunter character. During the meeting, Bay offered his own insights about the story; Wonder Woman scribe Jason Fuchs is set to fold those ideas into a new rewrite of the film's script. DC and Warner Bros. are planning to show Bay the updated draft of Lobo to suss out if a deal can be made. Another component crucial to Bay's involvement is the film's production budget. Sources have stated that Lobo, in its current state, would cost over $200 million, a figure neither Bay nor Warner Bros. is too keen on. Per The Hollywood Reporter's insight, Keen has stated he isn't thrilled with the "massive nature" of Lobo, and that writer Fuchs' reworking of the script is meant to "scale down the project while still keeping Bay's interest." If Bay signs on the dotted line and boards Lobo, he'll replace director Brad Peyton (San Andreas), who was attached to helm with Joel Silver and Akiva Goldsman as producers. The film has been in development since 2009, back when Warner Bros. tapped Guy Ritchie to take the reins and work from a screenplay penned by the late Don Payne. That version of Lobo was meant to feature the titular biker anti-hero "landing on Earth in search of four fugitives." Both Will Smith and Dwayne "The Rock" Johnson have previously been tied to star. Created by writer Roger Slifer and artist Keith Giffen, the character of Lobo was first introduced in 1983 in Omega Men No. 3, and experienced a resurgence of popularity amongst DC Comics fans after his revival in the early 1990s. Best known for his work in Paramount's Transformers movies, Bay also has credits in films like Armageddon, Pearl Harbor, The Rock, and 13 Hours: The Secret Soldiers of Benghazi. He's currently producing the upcoming Transformers spinoff Bumblebee.